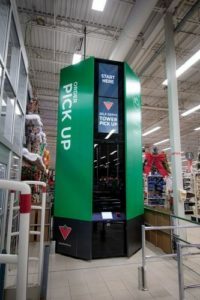 TORONTO – Canadian Tire has introduced automated in-store pick-up towers for customers’ e-commerce orders. The 16-foot Self-Serve Pick-Up Towers are now in use at five locations in Vancouver, Calgary, Saskatoon and Toronto. As of last week, customers at these locations have been able to collect their online purchases in less than a minute using the new Self-Serve Pick-Up Towers. In Ottawa the retailer is introducing a fleet of self-serve lockers and automated check-in terminals. To use the check-in terminals, customers enter a unique PIN code on the in-store tablet, prompting store staff to bring their order directly to them. “We’re a test and learn culture and a big part of that is finding new ways to help our customers shop when they want and how they want,” said Greg Hicks, president, Canadian Tire Retail. 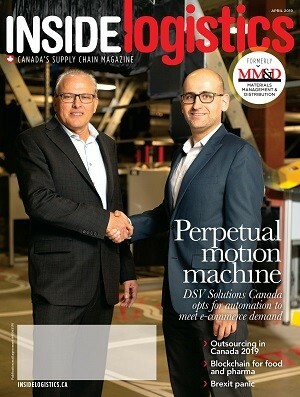 Inside Logistics reported last week on Walmart Canada’s announcement that it will be introducing the pick-up units in the Canadian market early in 2019.